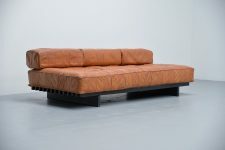 Very nice sophisticated daybed designed and manufactured by De Sede, Switzerland 1970. 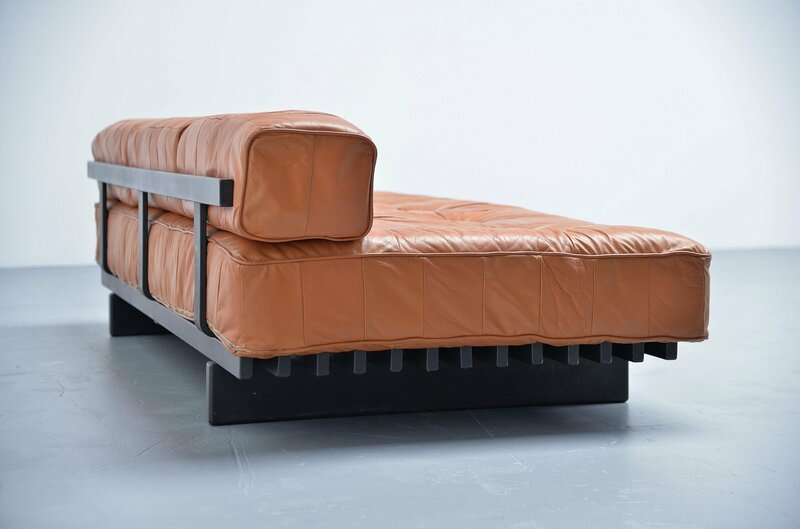 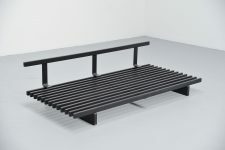 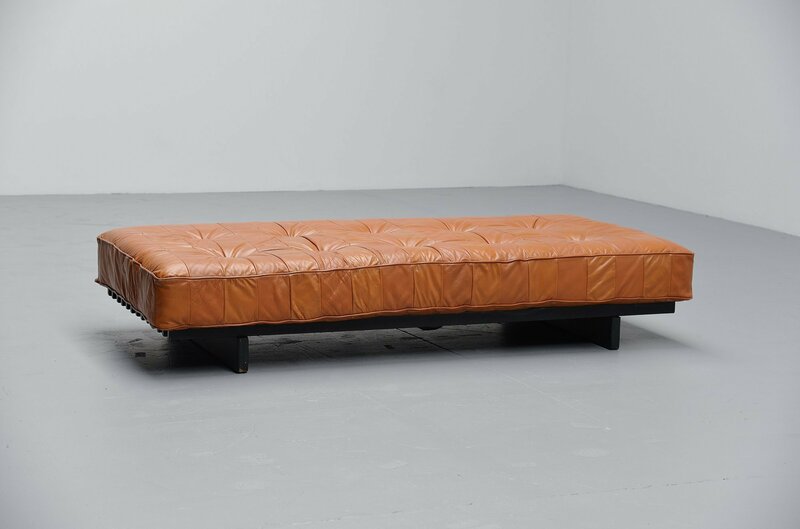 The daybed has a black lacquered wooden slat frame and cognac leather patchwork upholstery. 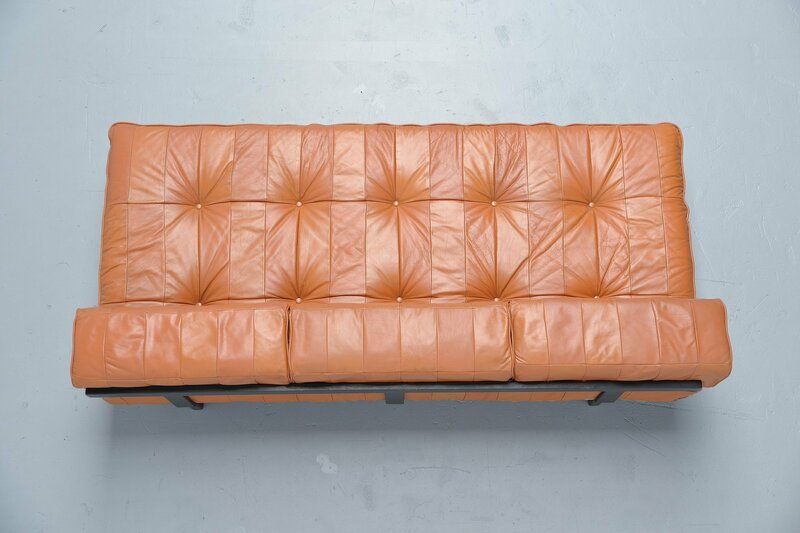 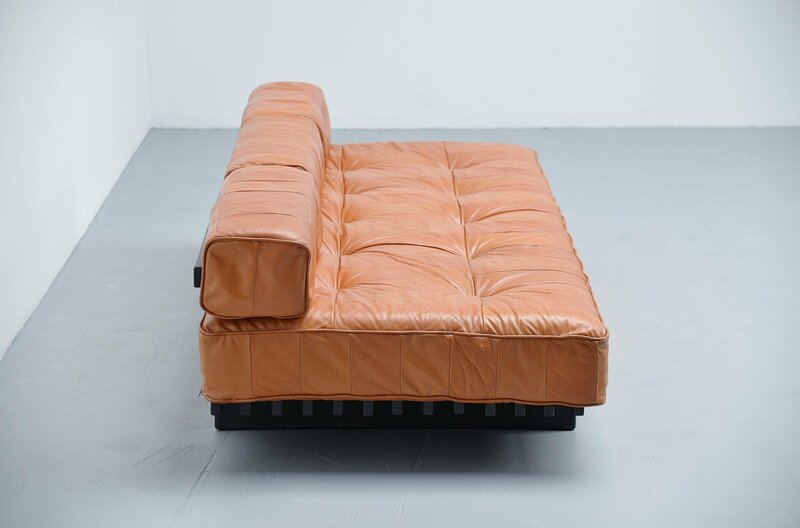 The patchwork series were created in the 1970s as de Sede had a lot of parts left from their leather sofa's. 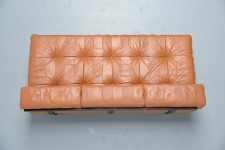 Someone had the idea to use these leftover to create another way of stitching and doing the upholstery. 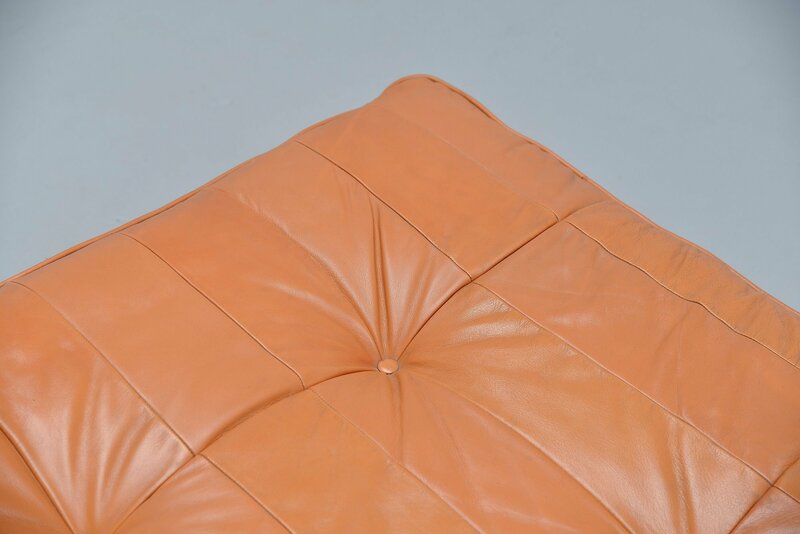 They used the leather quality combined with quality stitching to create this successful way of finishing their furniture. This daybed can be used with or without back rest. 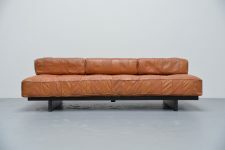 It is in excellent original condition.